Providers may find themselves facing thousands of dollars in unexpected electronic health record costs due to late notices from the CMS on whether they must comply with a new quality payment system outlined in MACRA. The CMS has started directing providers to a website to find out whether they're expected to report under MACRA's Merit-based Incentive Payment System. Providers had expected to hear their status in January via letters as they had in the past, but now they will have to take the initiative to look it up. "CMS decided to move to a web-based lookup tool for year two rather than send paper letters to make it easier for clinicians to obtain their MIPS eligibility status," a CMS spokeswoman said. "The lookup tool is a quicker, more effective and cost-efficient way to determine MIPS status than mailing letters." The timing of the plan has many concerned, as the financial stakes are even higher than last year. Providers must report a full year of quality data, versus just 90 days in 2017. 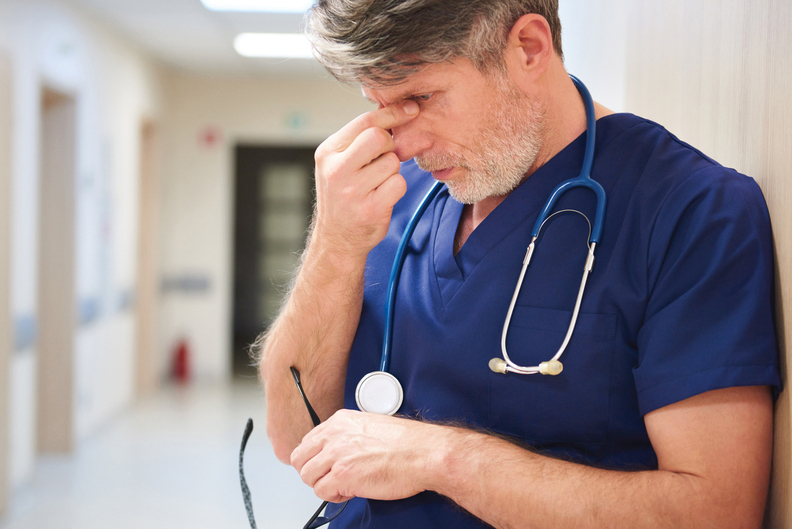 "The AMA has significant concerns that physicians will be held to full-year reporting requirements even though CMS is not releasing the information until" the second quarter of the year, said Dr. David Barbe, AMA president. Physician practices could end up spending thousands of dollars to catch up to MIPS requirements if their EHR systems can't track data according to MACRA requirements. They could end up spending as much as $50,000 to extract their data from one system and move it to another, according to West Texas Health Information Technology Regional Extension Center, which studies EHR costs. Implementing a system from scratch could cost $163,765 for a single doctor practice and $233,298 for a practice of five, according to American Action Forum, a think tank in Washington, D.C.
Practices could also see their annual maintenance and upgrade costs go up. Practices already have been seeing these costs rise. From 2015 to 2016, physician-owned practices spent anywhere between nearly $2,000 to $4,000 more per physician on IT operating expenses than they did the prior year, according to the Medical Group Management Association. Although the agency finalized a rule late last year to exempt more small providers from complying with MACRA, the agency's decision to delay notifying doctors of their status left some feeling vulnerable. "Providers may now find themselves facing a lot of work, as they have 90 days of reporting that they'll need to catch up on," said Dr. Michael Munger, president of the American Academy of Family Physicians. The CMS estimates that 934,000 providers will be exempt from MIPS reporting; that includes physician practices with less than $90,000 in Medicare revenue or fewer than 200 unique Medicare patients per year. Initially, only 134,000 providers were going to be excluded from the program because they generated less than $30,000 in Medicare billings or saw fewer than 100 Medicare patients in a year. The strategy change for disseminating status information worried provider groups as the CMS has not said how it is alerting clinicians that they need to check their status on a website. "Posting information isn't an adequate substitution for sending notices to providers, and that information might not reach some of our members," said Brian Outland, director of regulatory affairs at American College of Physicians. Anders Gilberg, senior vice president of government affairs at the MGMA, also voiced frustration about the lack of clarity on the switch from letters to web notification. "CMS needs to affirmatively communicate with clinicians about their MIPS status for 2018, not just post it to a website," Gilberg said. "Most clinicians are not actively monitoring the CMS website in April for information that should have been provided to them prior to the quality performance period commencing back in January."